One of my favorite things about traveling, especially in a fashion-conscious place like London, is outfit-watching--Same as people-watching, emphasis on the outfits. It can be really inspiring and entertaining. 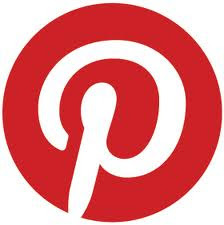 In past posts, I've shared trends I've seen in more progressive places than Nashville. And that will continue here with a series of posts dedicated to fashion trends in London. Some of them you may be able to implement in your wardrobe and some, well, maybe they're not for you. They say that Europe is pretty far ahead of the U.S., so that means you'll be way ahead of the curve if for instance, you decide to go with part 1: Leggings as Pants. I've earnestly been hoping for this leggings trend to just GO AWAY, but it keeeeeeps oooooooon going seemingly unabated and gaining steam all the while. In Nylon a few months back two writers faced off on whether leggings should be worn as pants even. I thought, "They're creeping into our lives and stealing away our affection for jeans?! Seriously, who wants their a@$ hanging out with only a thin layer of lycra as a boundary to the jeers of onlookers?" The answer is: every post-pubescent girl in London. I saw more leggings as pants concentrated in a single area than I daresay anywhere in the free world. Even the Londoners who were covering their bums were still wearing leggings. And that's the take-home message. Even if you're not remotely interested in wearing a cropped t-shirt with your leggings, they are here to stay. And I'll give the little buggers this, they are pretty comfy. Pair them with a baggy t-shirt, a tunic, and really anything you'd wear jeans with. Just please, cover your rear. There are only a few of us who can get away with tights as pants: Giselle, Heidi Klum, and any King of Leon. I am going to suggest that you toss out all your tights that hit around the knee. Cropped tights just aren't doing it for me right now. I suggest the ones that reach all the way to the ankle only. Also, lose the lace-trimmed tights. These are reserved for preschoolers. To mix it up, maybe try ballet-inspired leggings. They loop under your foot and look really cool with sandals and flats and stay in place under boots. Patterned leggings are a must for fall. PUH-lease--no more dresses that reach the knee with leggings. It's soooo MOM. And not in a good way, like baked goods. Dresses with leggings must clear the knee by a few inches or the proportions are way off and you WILL. LOOK. DUMPY. NOOOOOOO. no, no, no, no, no, no. NO. Seriously, no. NOOOOO. No. YES! Button-cuff leggings from Target for $12.99. "Who the heck is Yaya Aflalo?" you say? When I was at Emmaline, there was one line at market that I always, always was flipping out to see--Yaya. (It was the one that we'd later have to edit down to about half because I had ordered so much.) Yaya always perfectly fit my personal style. In my closet are things that are somewhat classic, but have a really cool cut, or really cool pattern. Yaya always does this so flawlessly in her boutique line. She's continued to do so in Nom de Plume, and now, folks like us can buy it! My favorite piece: this rockin' floral pattern silk racerback. So cute under a cropped leather jacket or layered over a grey tank right now. And my birthday's this month if y'all wanted to pitch in and buy it for me. As most of you know, I worked on the show "Can You Duet" on CMT for its second season. It was such a blast! The finale was last night, and everyone was looking very snazzy, if I do say so myself. Here are some shots I took behind-the-scenes along the way that I thought I'd share. It'll be on repeats on CMT all week. You should watch. Both duos put on a GREAT show. If you don't watch the whole show, I highly suggest for random pick-me-ups throughout your day to revisit the video above as often as needed. Steel Magnolia, the winnners. SO GOOD. Head here to download their first single. The host Lance Smith during the finale in his custom-fitted Hugo Boss suit. Working with this guy was a blast every single episode. Love him. Meghan Linsey of Steep Magnolia gettin' her makeup did before the finale episode. How cute is that skirt? It's by Manoush, and I got it at Haven. 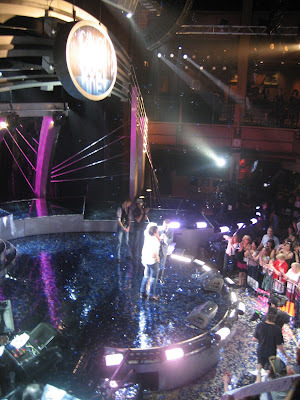 Finale episode from my perch on the second floor of the Wildhorse. This is right after the confetti fell on Steel Magnolia, the 2nd season champions. Brandon of JB Rocket, Meghan, Jonathan of JB Rocket, and Josh of Steel Magnolia. This was right after they'd found out that their duos would be competing in the finale. Ryan and Avalon--third runners-up. She's wearing a killer dress we borrowed from By Francine, one of my faves. 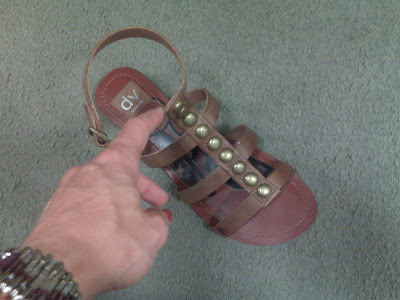 These sweet Dolce Vita sandals at Dillard's in Green Hills for half off! $32.50! They have them in black and several other pairs by the same designer; all for 50% off. Yaya weekend sandal sale! Looking for Some Mischief Tonight? 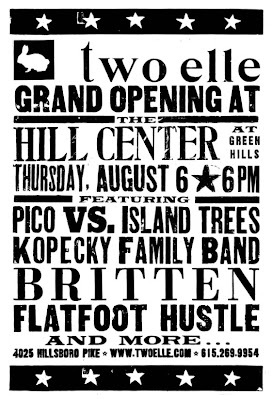 I guarantee you'll find that and many more hi-jinks and good times at the 2L Grand Opening in the Hill Center TONIGHT. Not exactly sure what those crazy chicas have planned, but it will be a good time for sure. See ya there! Like a little present on your hand. I'd probably double this ring up with a big round cocktail ring. 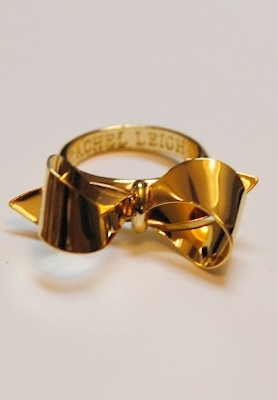 Bow ring by Rachel Leigh at Hampden Clothing for $42. I love outerwear. I'm always cold, so it comes in handy, but like, I have a problem. I might need a cardigan intervention. But this blazer is SO perfectly drapey. And look at that 80s shoulder-pad perfection. Sweet, sweet outerwear. In three colors at Urban Outfitters for $78. Oh geez...a skinny jean that's awesomely beat up *AND* slouchy. It almost seems too good to be true. I would probably wear these every bloody day. Madewell on Shopbop for $95.